Here's a set of couple shirts that will bring laughter for everyone. 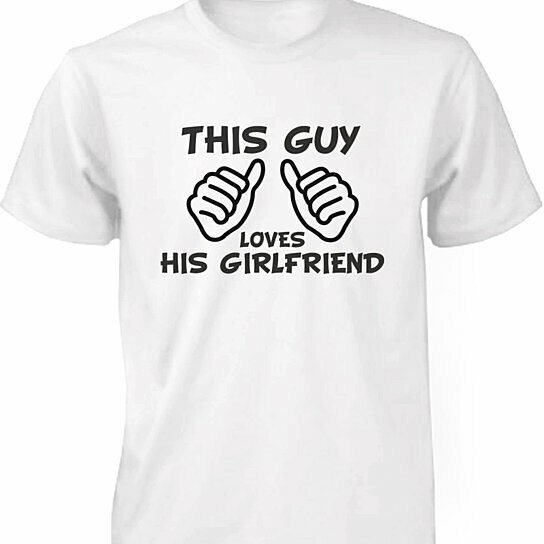 Wear this funny"This Guy Loves His Girlfriend" and "This Girl Loves Her Boyfriend" around your friends and family (or anybody!) and people will enjoy your cute love for each other.